While it’s highly unlikely I’ll ever become a vegetarian, I have a great deal of sympathy for people who are and want to eat out. While it’s easy to assume that the recent surge in vegetarianism (and veganism) means that it’s easier than ever to eat out meat-free, that’s still not the case with many of the most interesting and noteworthy restaurants barely catering to vegetarians at all. While restaurants should never be forced to accommodate people’s dietary requirements, especially if it’s outside the scope of their expertise or focus, it’s nonetheless laudable when they do. 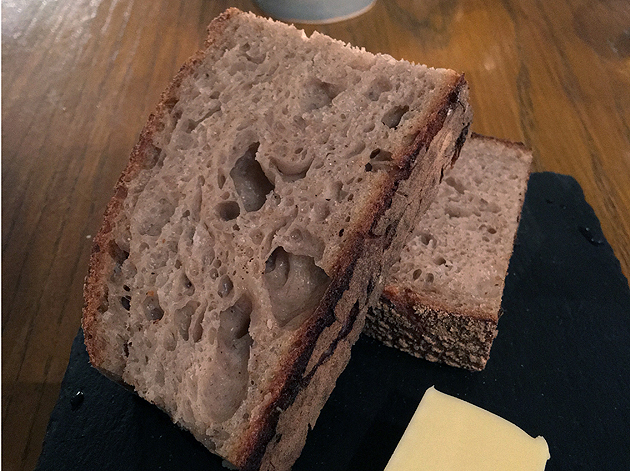 Especially if they go to the effort of creating a second menu, as Henry’s in Bath has done with their vegetarian-specific slate. Stumbling upon a single Bath restaurant with two distinct a la carte menus as I find myself in the city for two nights seems sublimely serendipitous. If only my pair of meals had lived up to this seemingly kismetic promise. 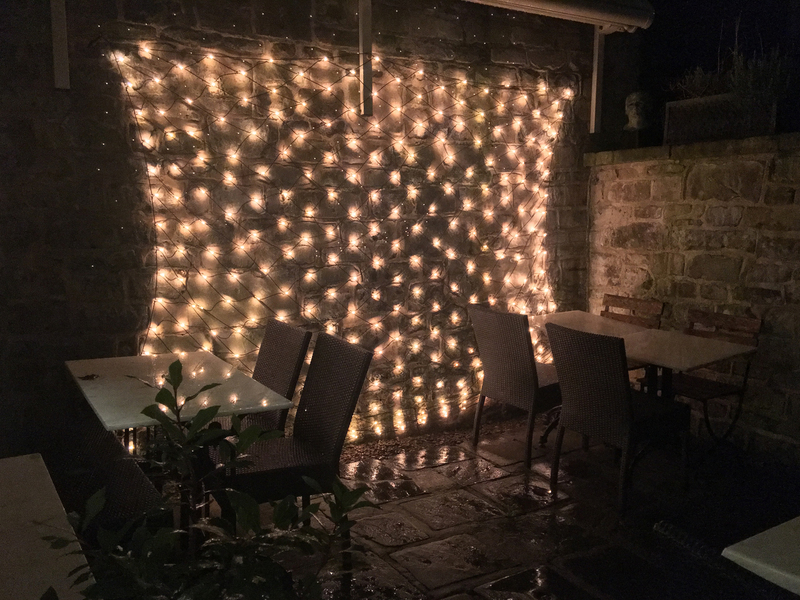 I’m sure the outdoor patio seating is lovely in drier weather. 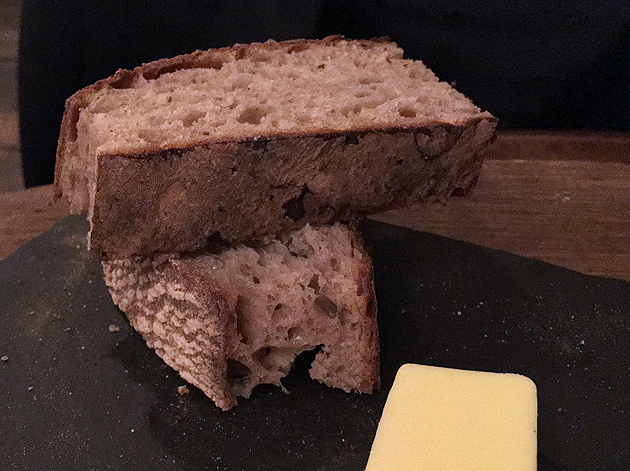 Malty brown bread had a charming raisin-like sweetness, but the hard butter left me as cold as the fridge from which it had just been fetched. If Henry’s snug premises weren’t a residence or olde worlde shoppe in a previous life, then I’d be very surprised indeed. Henry’s ratatouille doesn’t look like much, especially if you’re (inexplicably) expecting a delicately layered confit byaldi-style ratatouille as featured in the eponymous Pixar film. Each vegetal blob was neatly accomplished though, the sweet and smoky parcels of fleshy peppers, aubergine and courgettes meshing together seamlessly. 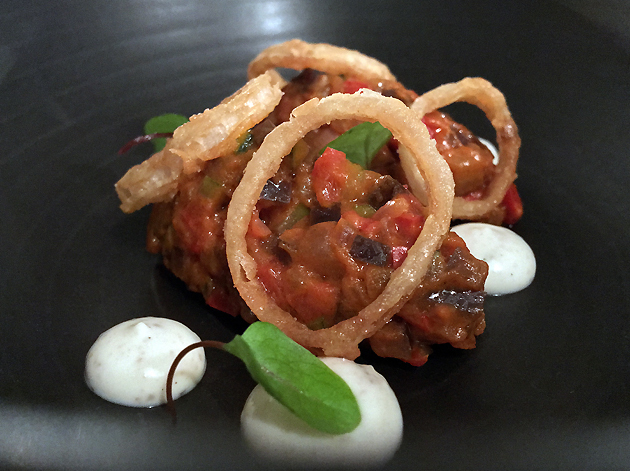 A creamy, smoky emulsion boosted the flavours of the vegetables used, although the less said about the thrown in onion rings, the better. This applies to many of the restaurants I review, but none more so than Henry’s: the clientele here were very middle-class. If you’ve get a classist chip on your shoulder, this place will perch on it and nibble your ear before regaling you with tales of its gap year. While slightly fibrous, the eponymous lead vegetable in the stem artichoke salad was nonetheless sweet and tender for the most part. Its clean aftertaste allowed the sweet, umami tomatoes as well as the umami punch of the gremolata to make their presence felt. It all come together beautifully. This review’s procrastination was brought to you, in part, by weather-induced lethargy. If only the salsify had been as well-balanced. While the headliner vegetable was a winner with its tender bite and sweet starchiness, I was unconvinced by many of its accompaniments. While nutty, the chickpeas were oddly crispy and peculiarly reminiscent of unpopped popcorn kernels. It was all quite unpleasant. 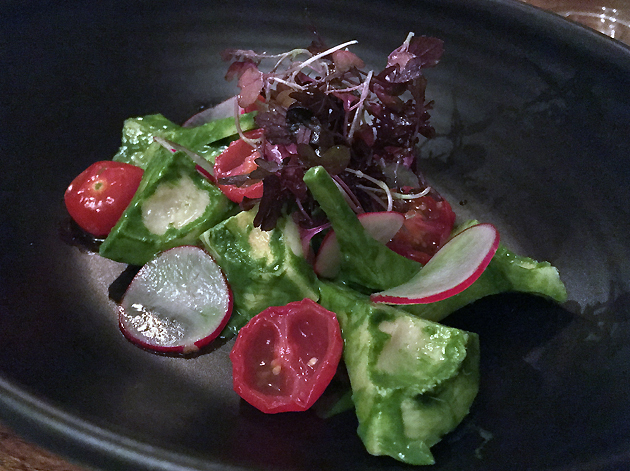 The unidentifiable puree and so-so salad leaves were merely shrug-inducing. The bok choi was the one other thing on this plate that managed to hit the spot. The mild, sweet and creamy leaves were cooked just-so. Nougat was surprisingly cool and refreshing with nutty caramel bits dotted through its body. 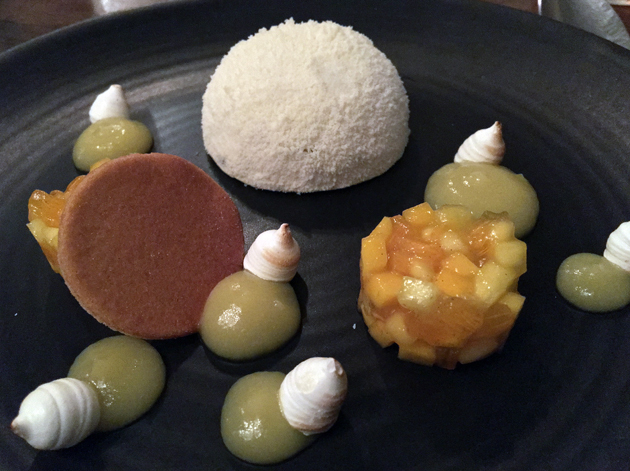 Crisp, refreshing pieces of mango and pineapple were well-chosen; the miniature meringues and odd blobs of sugary blancmange less so. Take those unnecessary oddities out and you have a winsome dessert that’s worth having time and time again. 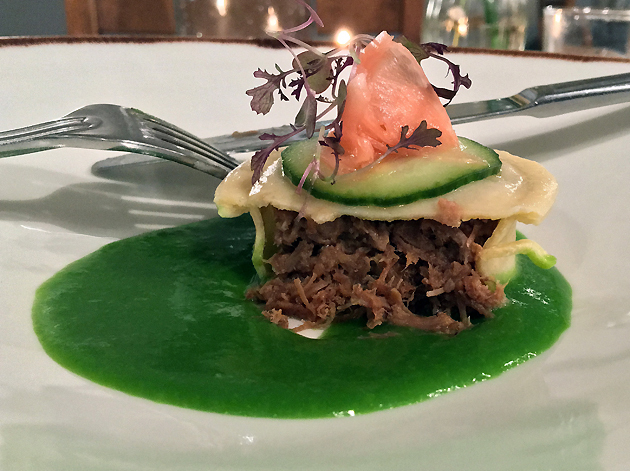 Resembling a pie, but made out of pasta, the duck confit ravioli was an unbalanced effort. The pasta folds were a little too hard, while the sinewy meat inside was dense but only moderately fatty. Surprisingly, the most accomplished element here was the delicate little flap of pickled ginger. 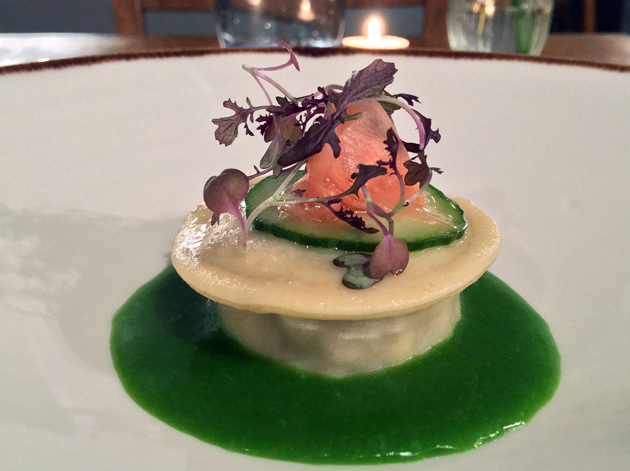 Beguilingly sweet, then tangy sharp, the gari didn’t feel at all out of place and almost made up for the disappointment of the wonky up-sized ravioli. A starter approximately the size of a minced pie. The bread and butter was much the same as it was before. Cooked medium rare, the sirloin was tougher than I expected for this cut of meat. 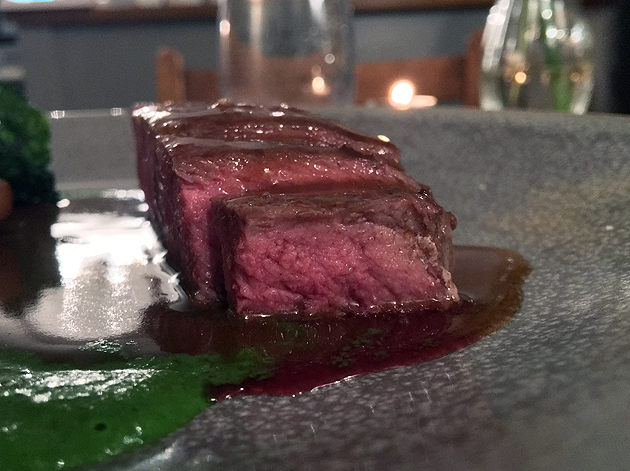 It was still pleasing enough thanks to its neatly browned exterior, offaly undertone and aniseedish flavour, although the last two may have been attributable to the jus and sauce. The accompanying selection of vegetables were uniformly excellent though, from the sweet and starchy candied yellow beetroot to the crisp radishes and bitter, tender kalettes. ‘Computer, enhance!’ Wait, no. Computers don’t work that way. 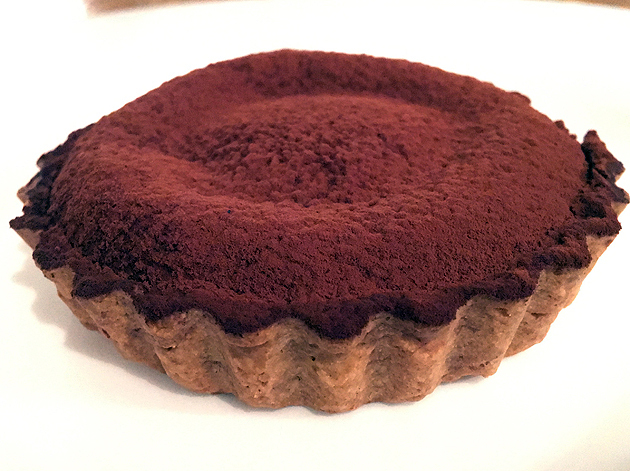 A molten chocolate tart was a dull, characterless affair which will only please anyone fond of simple, undemanding desserts. The Sichuan custard on the side was far more interesting. Thin and milky with a grape-like sweetness and an aniseedy, almost smoky flavour. 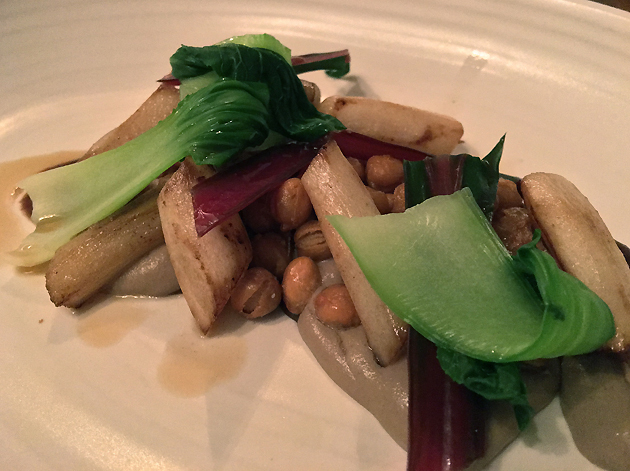 It was unexpectedly nuanced, complex and far more pleasing than the tart. 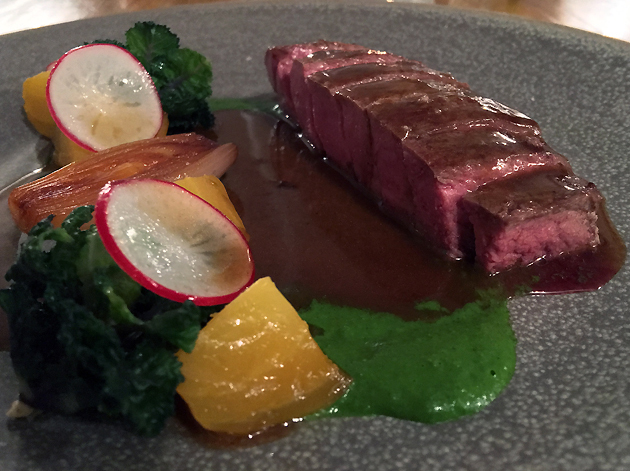 Disappointingly, both the carnivorous and vegetarian menus at Henry’s proved to be somewhat muddled affairs with flawed, unbalanced dishes sitting alongside the truly joyous. It was notable that Henry’s vegetarian menu was, on balance, better executed than the meat-based version even as the two inevitably shared some core ingredients and preparations. That isn’t a negative in its own right given the restaurant’s small kitchen and focus on seasonality. Plus, Henry’s avoided the temptation to serve dishes centred around ‘mock’ meat substitutes, a frequent failure of imagination in many vegetarian and vegetarian-friendly restaurants throughout the West. Service was similarly uneven, with its friendliness and efficiency highly dependent not only on which waiter you end up with but also how busy it becomes. When Henry’s is packed to the rafters, service can slow to a crawl. In short, Henry’s was very much a mixed bag. But it shows a lot of promise, especially for vegetarian diners. Opening Hours: Tuesday-Saturday noon-15.00 and 18.00-22.30. Total cost for one person including soft drinks and service charge: £43 approx. Tags: artichoke, bath, beef, bread, butter, chickpea, chocolate, confit, custard, duck, henry's, meringue, nougat, ratatouille, ravioli, restaurant, review, salad, salsify, sirloin, steak, tart. Bookmark the permalink.